Author’s Note: At the American Association for the Advancement of Science (AAAS) annual meeting this year, I had the opportunity to listen to Dr. Pablo Ross from UC Davis present in a panel discussion on gene editing to create xenogeneic organs. I wrote this article to highlight interesting research that is being done by researchers around the country and right here at UC Davis. I hope that this article will explain xenogeneic organ production—a revolutionary development in the future of medicine—and push readers to think about related bioethical issues and future directions. The idea of replacing one of your organs with an organ from a pig probably doesn’t sound too appealing. But, for the twenty people that die every day in the US from end stage organ failure, organs from animals could save their lives. Currently there is a huge organ shortage in the United States. Over a hundred thousand patients are already on waiting lists for an organ transplant, prompting many researchers to look for a solution. On Feb. 18, Dr. Pablo Ross, an associate professor of animal science at UC Davis, presented at the American Association for the Advancement of Science (AAAS) conference in Austin, Texas. Scientists like Dr. Ross are researching how to make xenogeneic organs for human transplant. Xenogeneic organ production is similar to xenotransplantation, a process in which an organ or tissue from an animal is transplanted into a human. 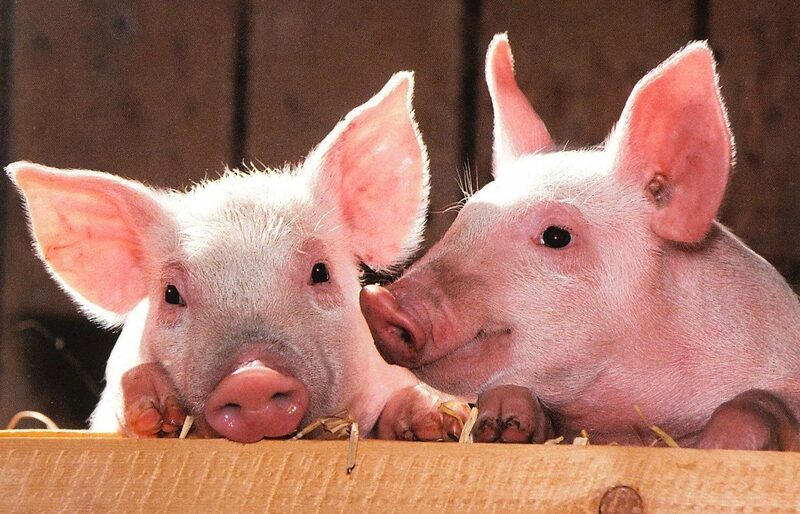 Human cells are injected into a pig embryo, where they develop into a full-sized organ after about six months. Then the organ is harvested and transplanted into a human patient. One of the biggest issues with organ transplants is organ rejection, which occurs when a patient has an immune response to the organ. Novel stem-cell based therapeutics using human induced pluripotent stem cells (iPSCs), a type of genetically-engineered stem cell capable of becoming nearly any cell in the human body, may provide a solution to this problem. Using iPSCs creates a xenogeneic organ that is composed of human cells but still has the same size and shape as the organ in the host species. “We don’t expect to grow a human organ inside a pig,” Dr. Ross explained at a press briefing at the 2018 AAAS meeting. “We expect to grow a pig organ full of human cells.” Researchers hope that using human iPSCs will reduce the risk of organ rejection, rendering xenogeneic organ transplants a viable option. To reduce immune rejection even further, Dr. Hiromitsu Nakauchi, a professor and researcher at Stanford University, hopes to develop patient-specific organs by blastocyst complementation. This method involves injecting human iPSCs from the patient into a blastocyst— a structure present in early embryonic development in mammals— from the organ donor species. This produces an organ made of the patient’s own cells. The aim of this method is to allow the patient’s immune system to recognize the transplant organ as “self,” minimizing the risk of immune rejection. “[Inter-species blastocyst complementation] would solve two of the main issues of organ transplantation: source of organs and potential for immune rejection,” explained Dr. Ross. One of the most prominent bioethical concerns regarding xenogeneic organ production, however, is whether human iPSCs migrate to other tissues in the donor animal. Human iPSCs could potentially embed in tissues like the brain or gonads, which could raise bioethical concerns about “humanization” of the host animal. However, Dr. Nakauchi proposed using livestock animals, which are less genetically similar to humans, instead of non-human primates to decrease this risk. This makes livestock animals more ethical host species for xenogeneic organic production. Although these recent breakthroughs are promising, further research must be done before xenogeneic organs are a viable solution to the organ shortage problem. “We need to come up with different strategies to increase the efficiency of these in vivo human-porcine chimeric embryos,” said Dr. Daniel Garry, a professor of medicine at the Lillehei Heart Institute, in his presentation during the session at AAAS. Discoveries like blastocyst complementation bring us one step closer to solving the organ shortage problem; however, before xenogeneic organ transplants become common in hospitals, researchers must streamline the process, address bioethical concerns, and minimize the risk of immune rejection. Garry, D., Ross, P. and Nakauchi, H. (2018 AAAS annual meeting). Gene Editing for Xenogeneic Organ Production: Regenerating at Patient’s Transplantation Organ. Lecture. Squinto, Stephen P. “Xenogeneic Organ Transplantation.” Pharmaceutical Biotechnology, vol.7, no.6, Dec. 1996, pp.641-645., doi:https:/doi.org/10.1016/S0958-1669(96)80076-0.